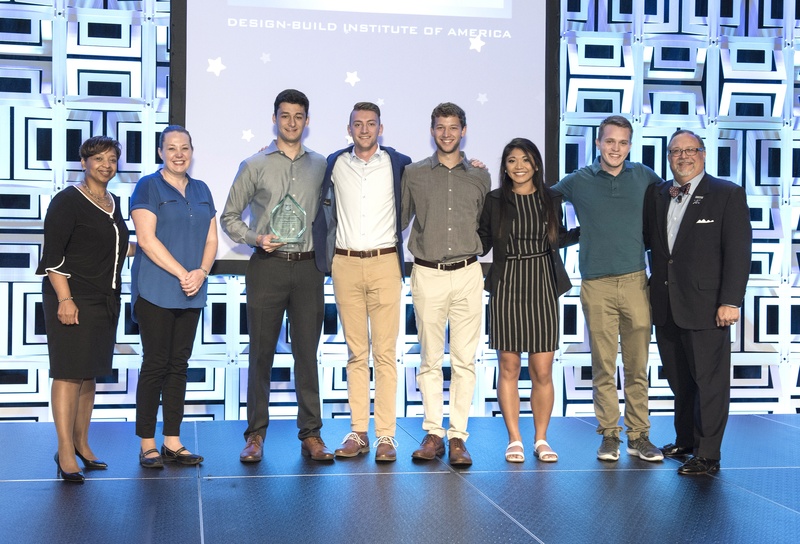 The team from Iowa State University felt confident after making their presentation during the 2018 National Design-Build Student Competition. That confidence was well-placed, as the Cyclones took home the top prize in this year’s design-build competition, which takes place every year at the Design-Build Conference & Expo. Iowa State was one of three shortlisted teams that presented in front of a jury and live audience, presenting their design and construction plans for a fictitious 2-3 story resident hall on an American college campus. The “Inspire Design-Build” Team from Iowa State University won this year’s competition. This year’s competition was close with only a few points separating the three teams. Following the champion Iowa State team was the Milwaukee School of Engineering in second place for the second consecutive year, and Seminole State College of Florida taking third place. The competition began with 36 teams of students from 27 different universities competing at the regional level. Student teams from leading design, construction and engineering universities across the country entered the competition to demonstrate design-build best practices by proposing their own unique delivery solution this year’s project. Nine regional winners were selected to compete in the second phase of the competition by responding to an RFP, and the top three finalists were then selected to present in New Orleans.